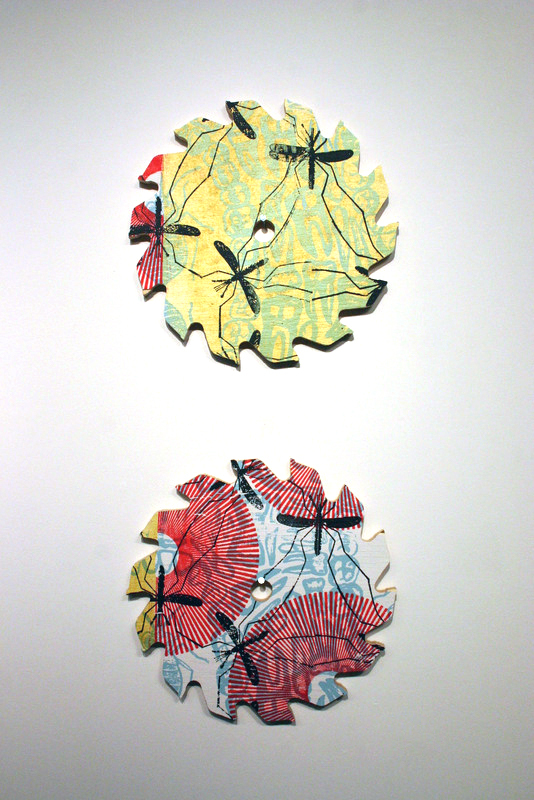 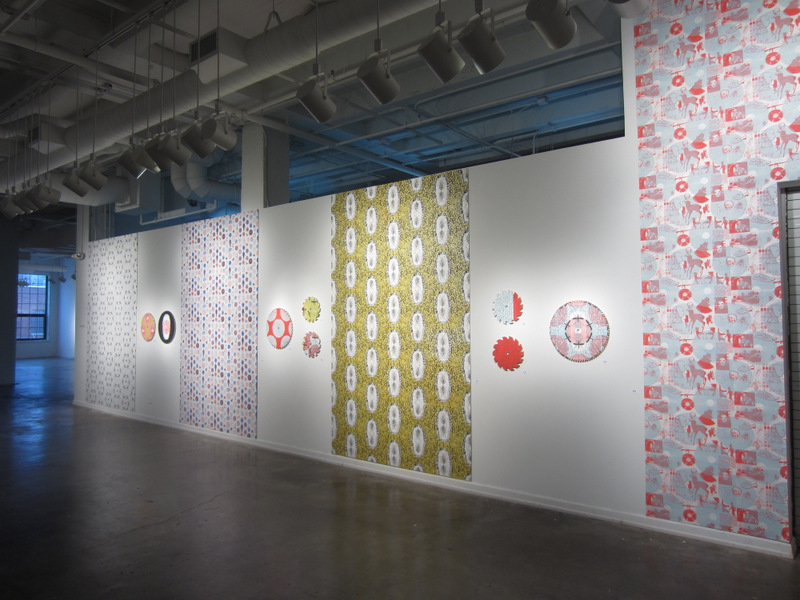 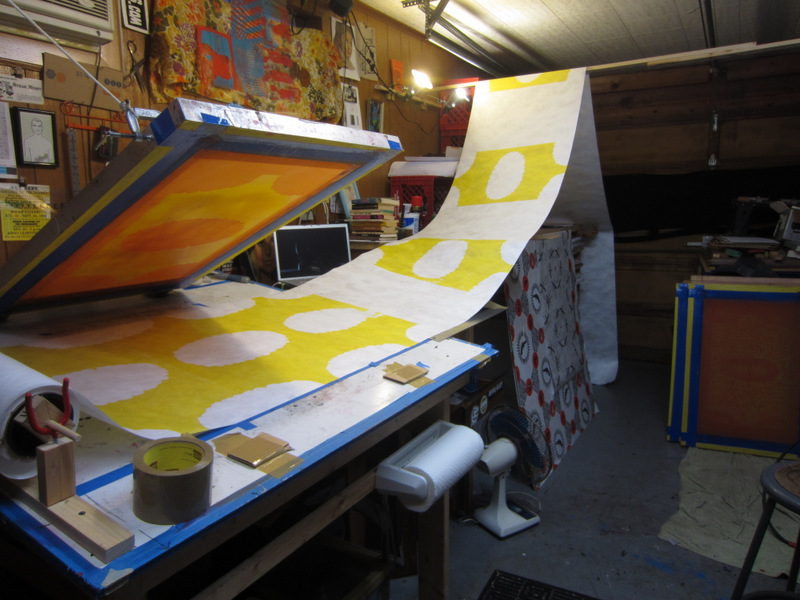 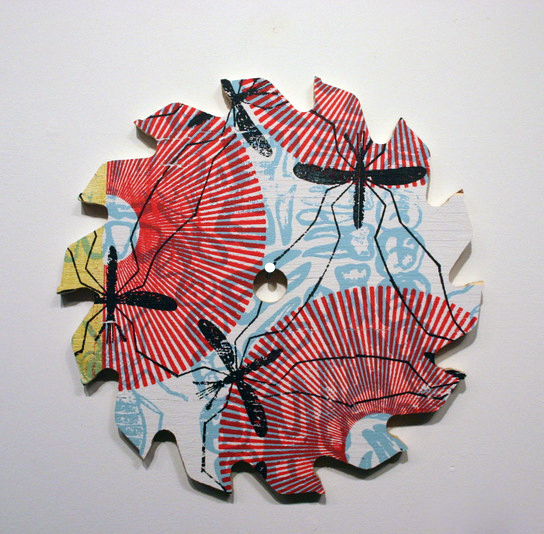 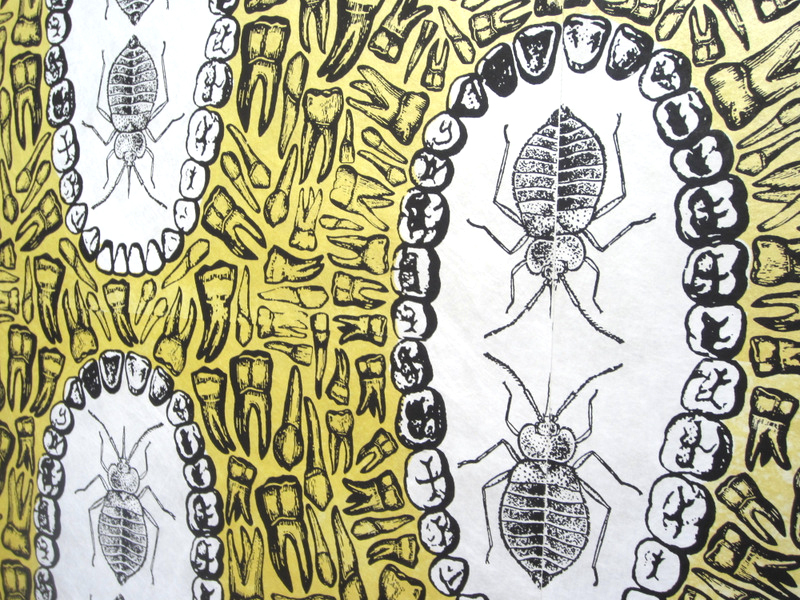 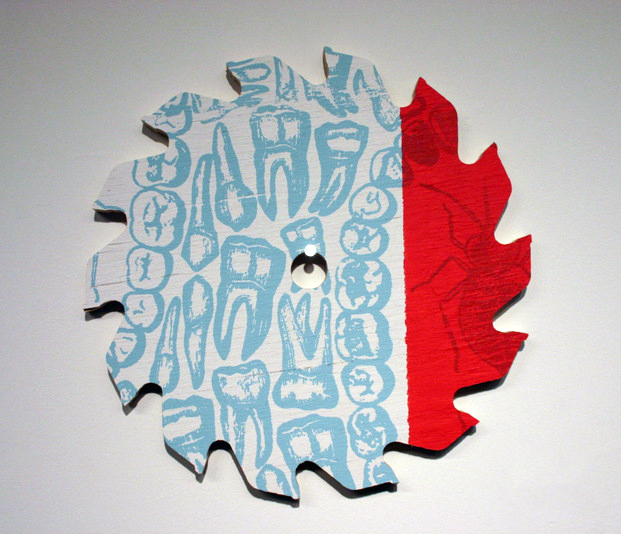 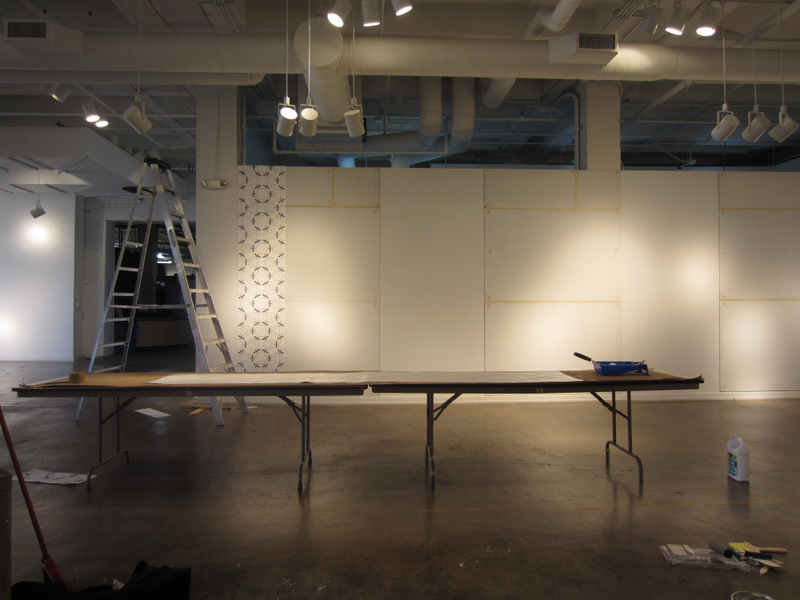 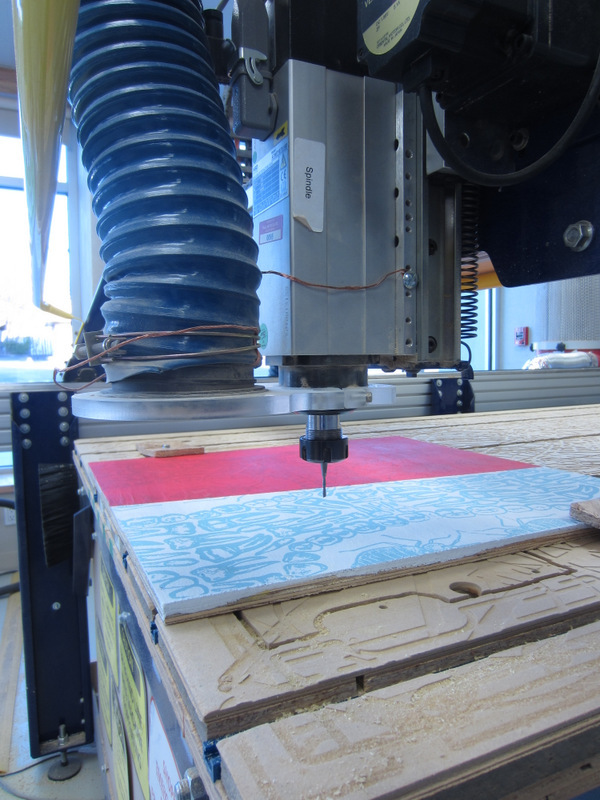 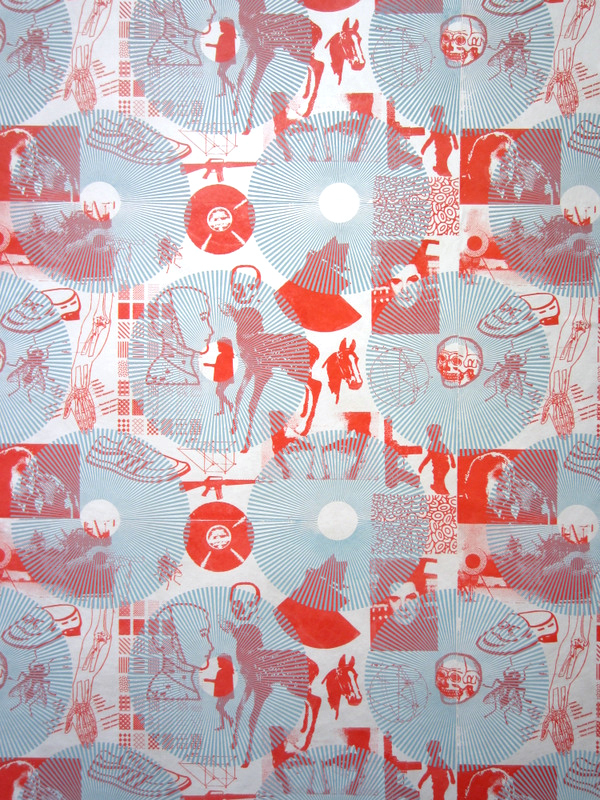 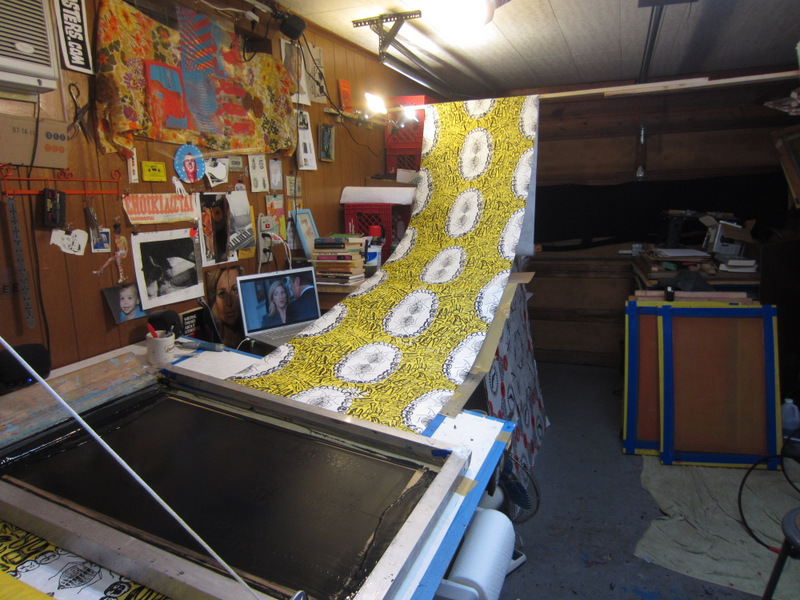 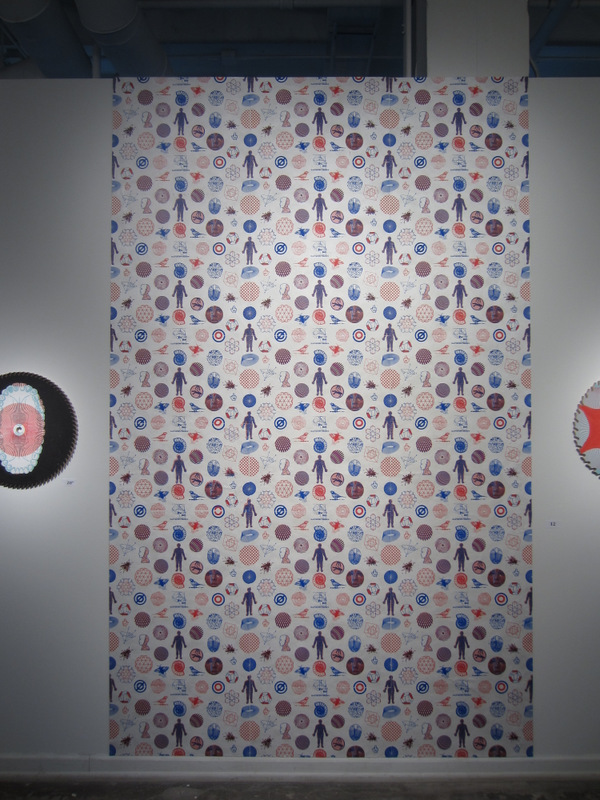 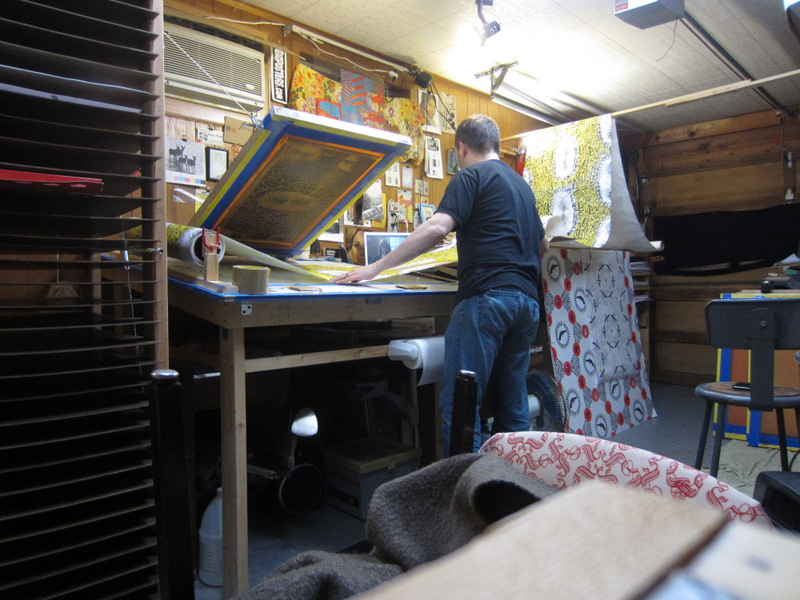 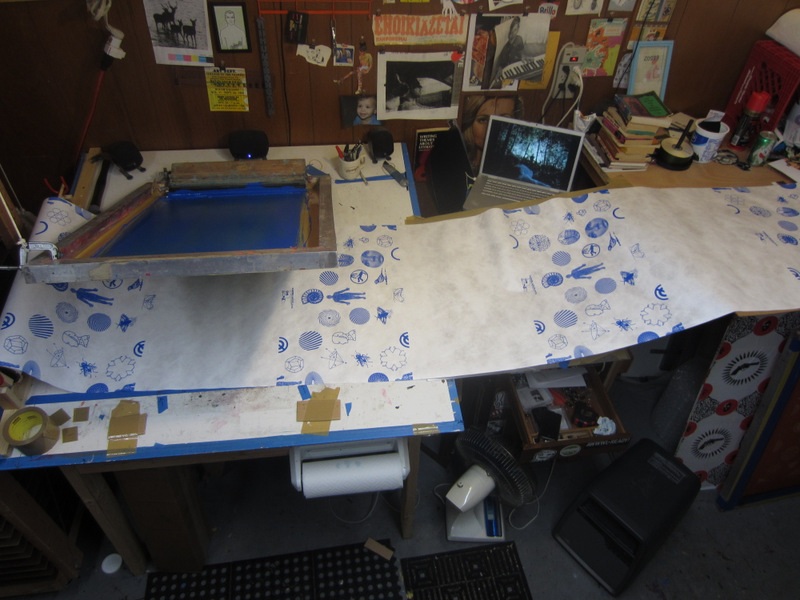 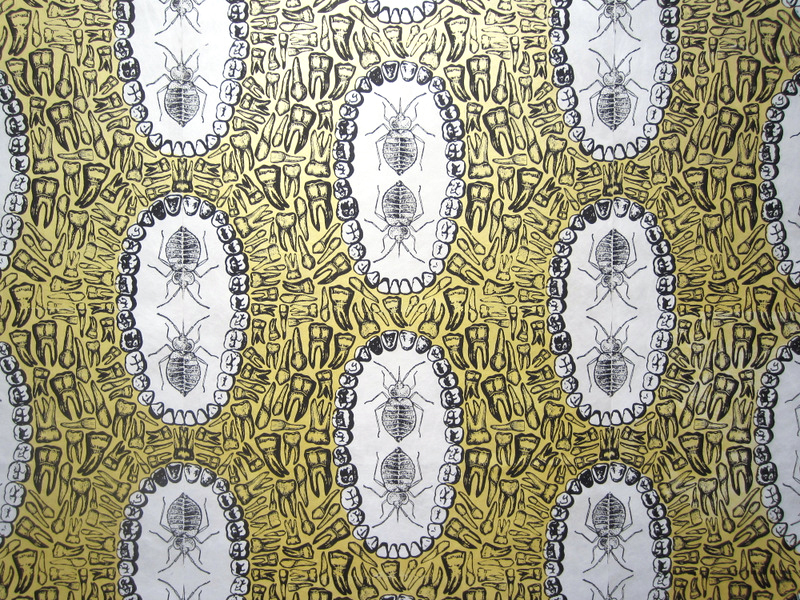 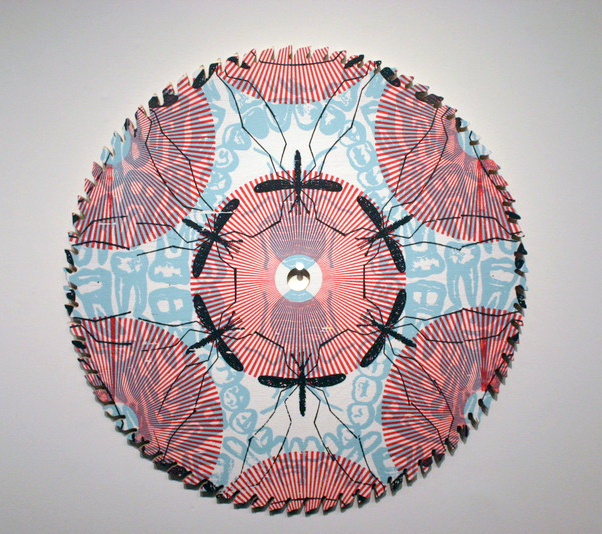 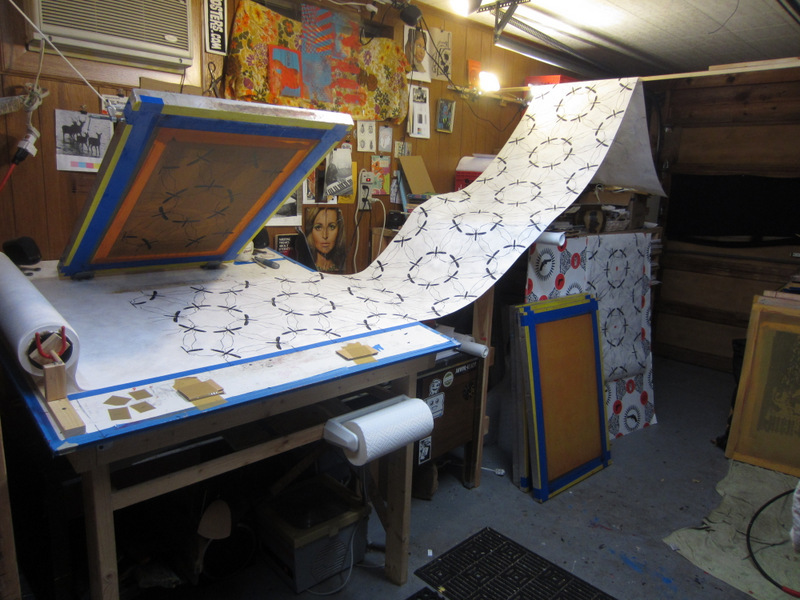 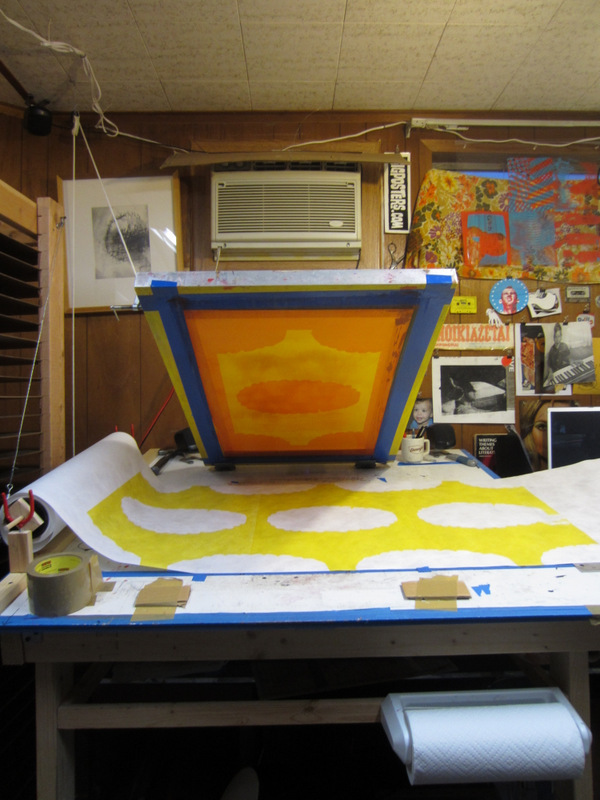 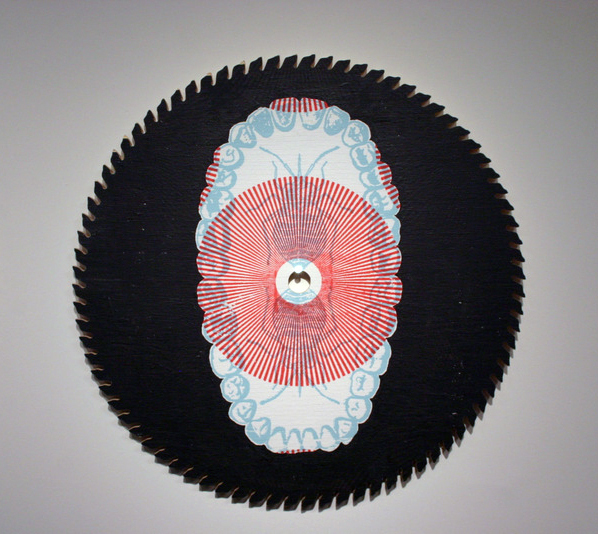 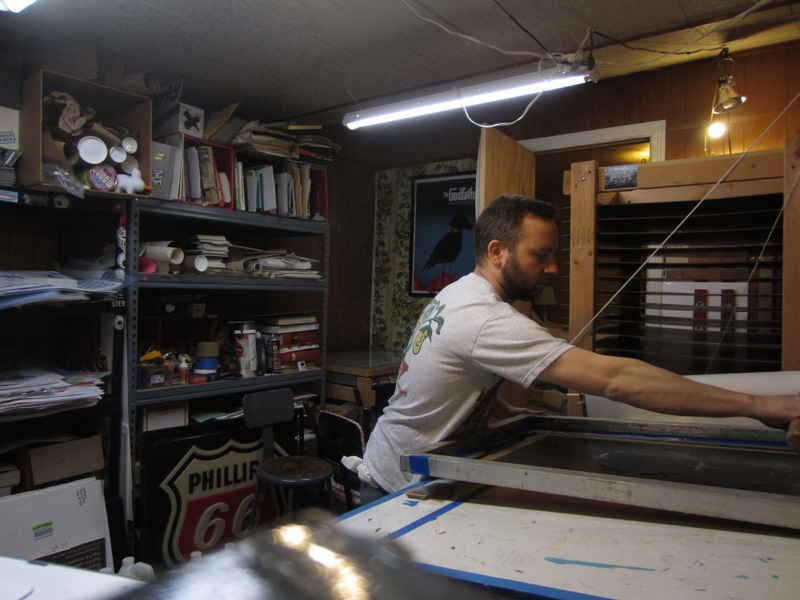 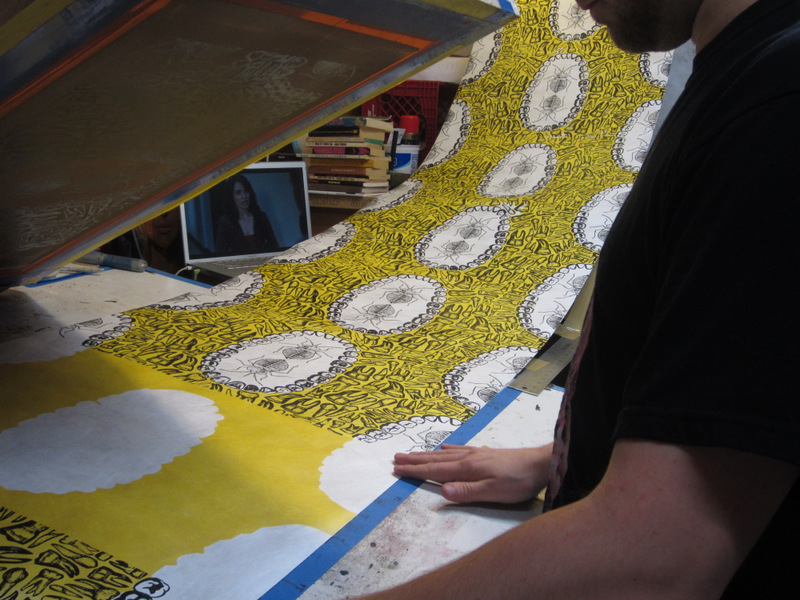 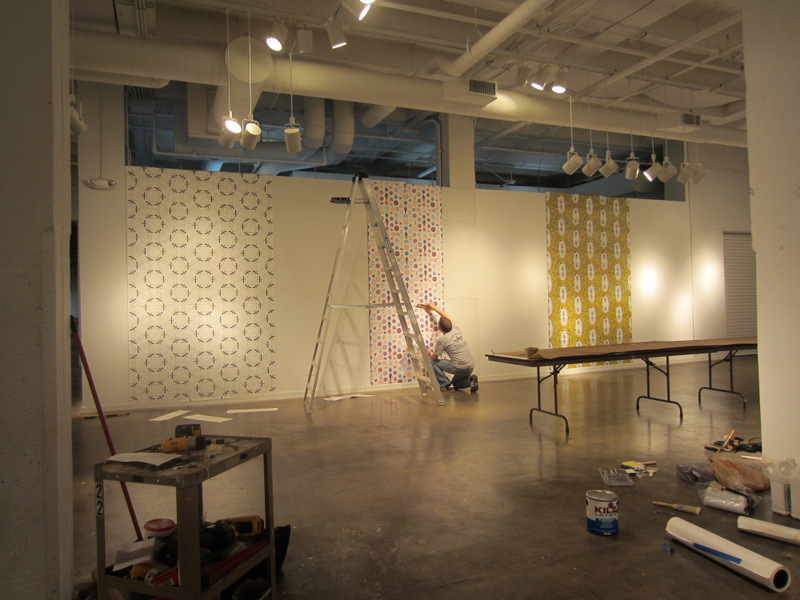 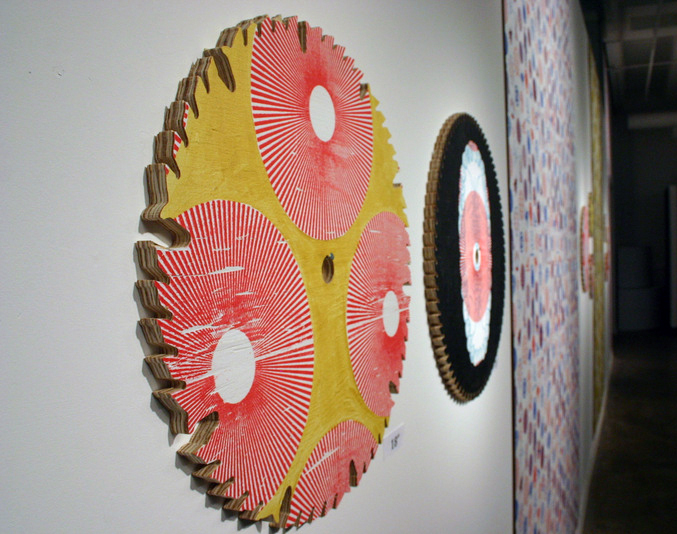 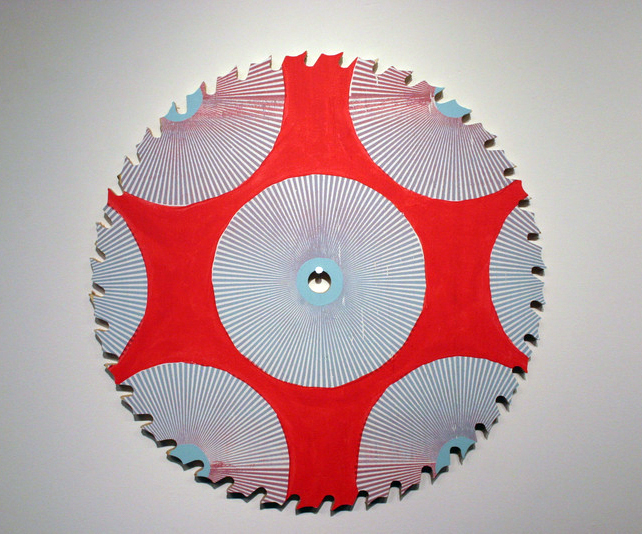 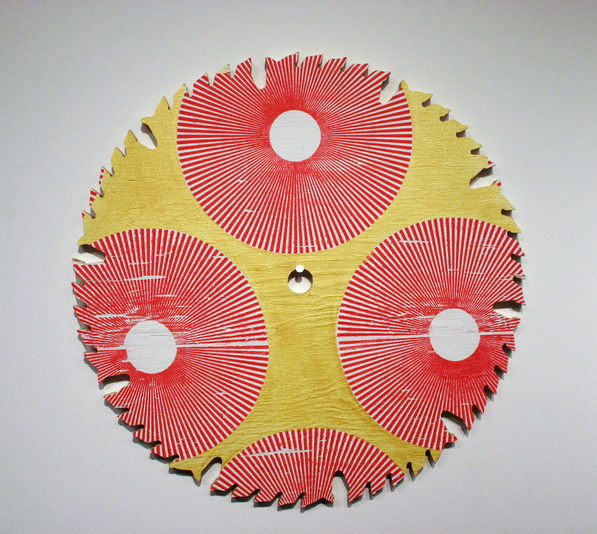 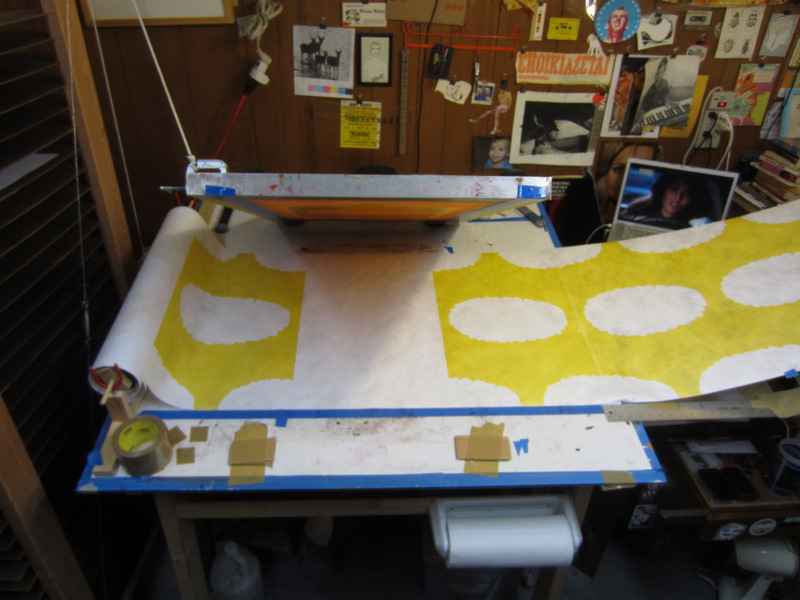 This exhibition took place at Living Arts of Tulsa in January of 2013, and featured four hand-printed silkscreen wallpaper samples and eight wooden saw blades featuring bits and pieces of those patterns. 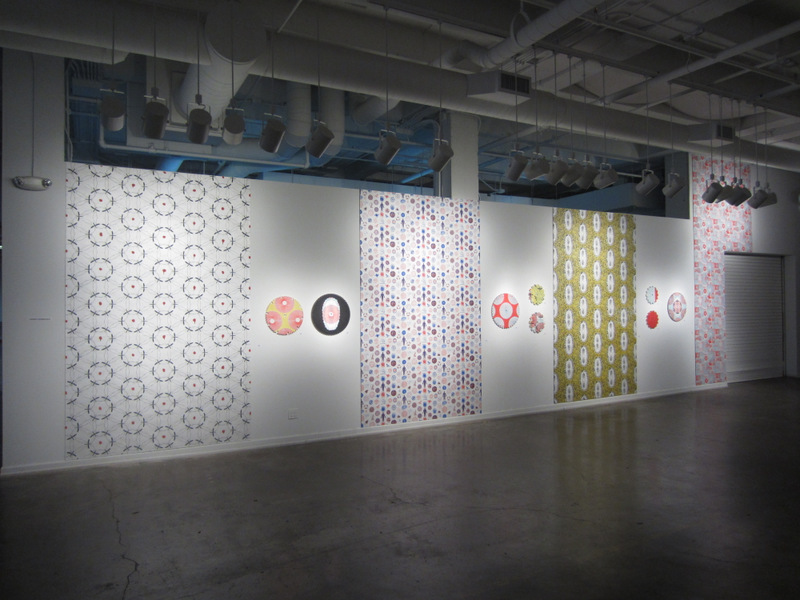 This was the first time I had designed, printed, and installed the wallpaper in a way with which I was pretty satisfied. 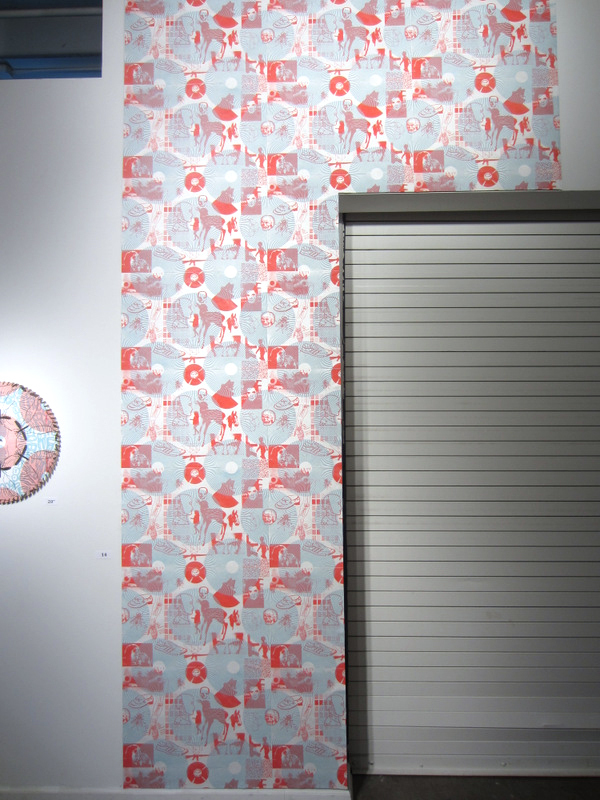 Prior to this, I had printed on normal lightweight paper, and then affixed it to the wall like wheatpaste. 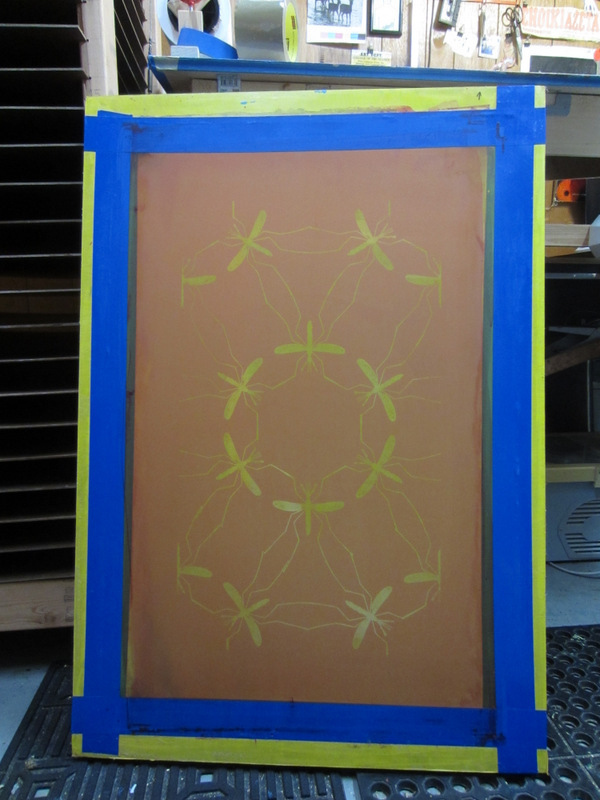 It was fine at the time, but I prefer a more traditional and polished look. 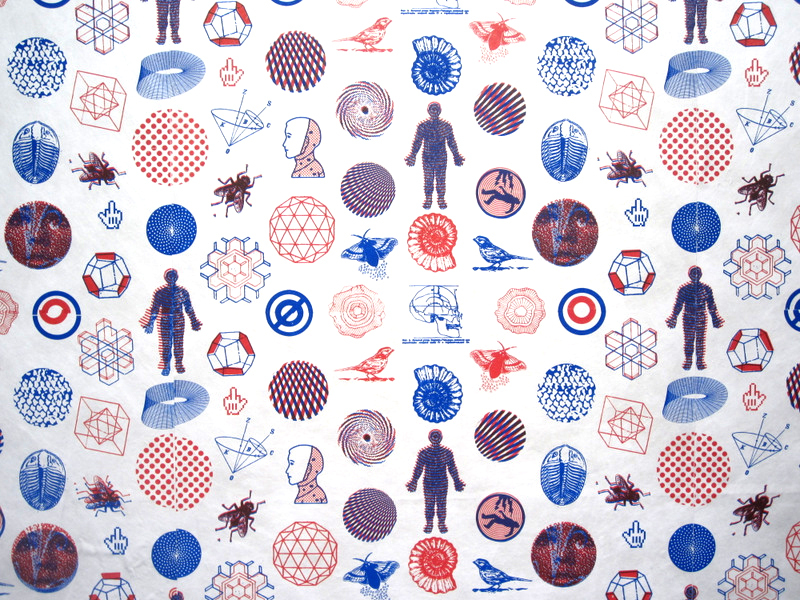 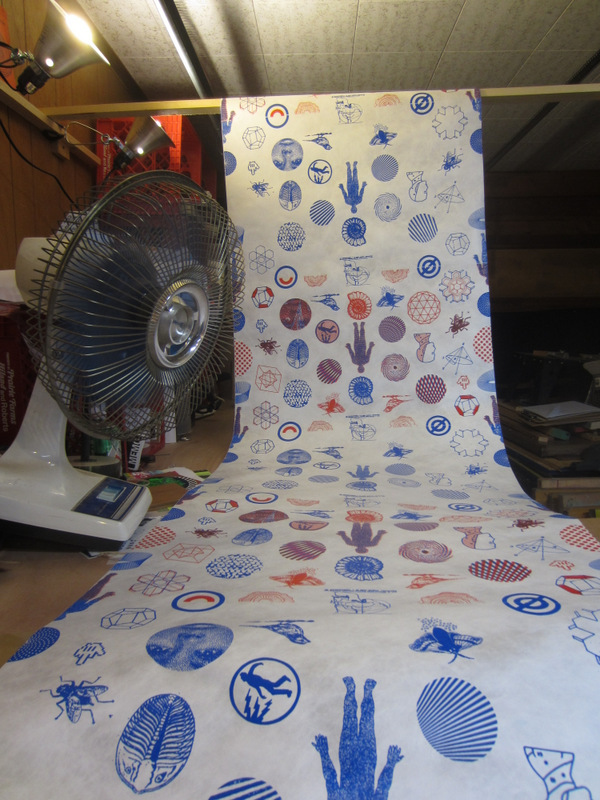 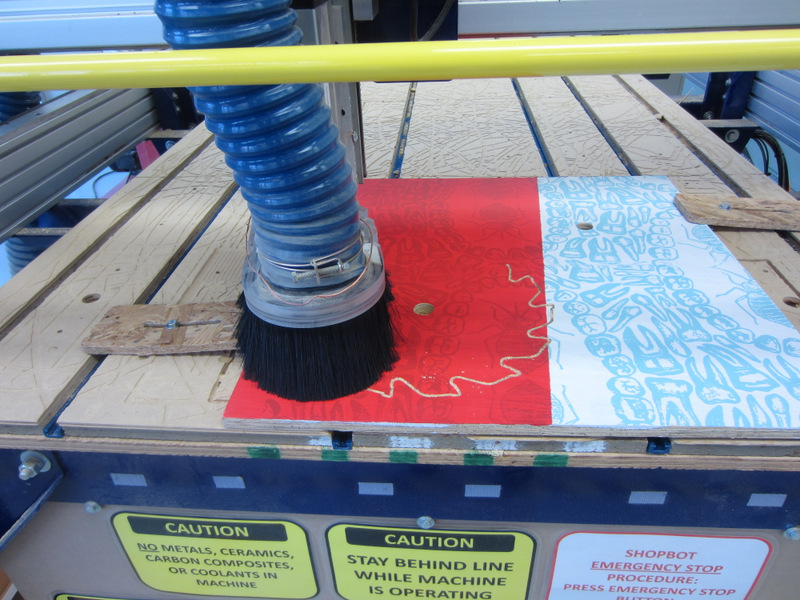 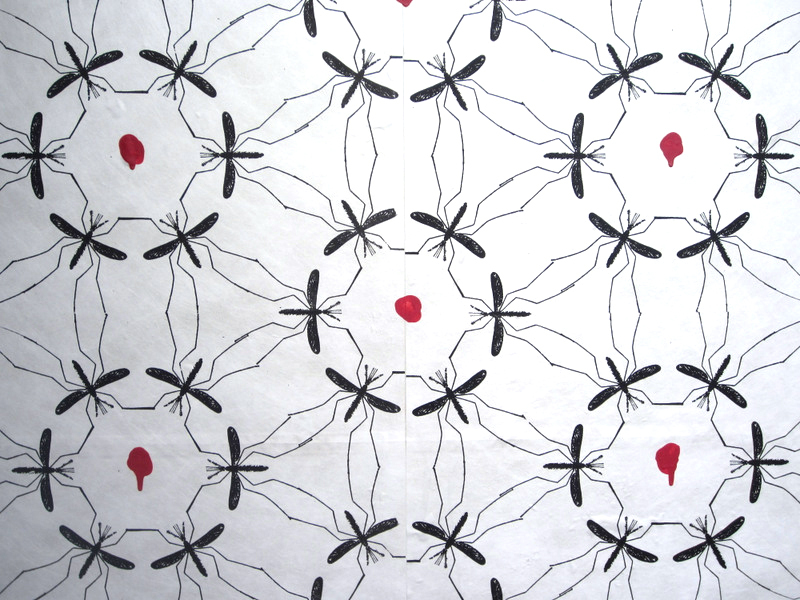 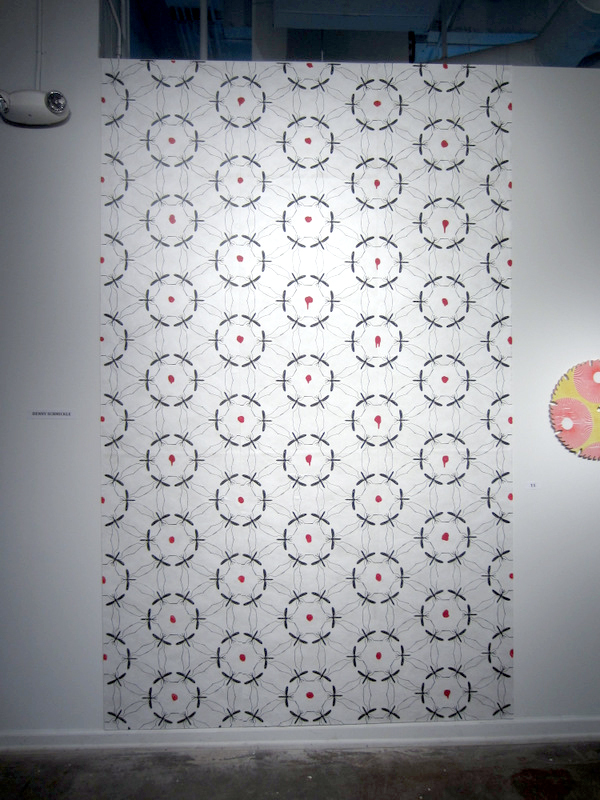 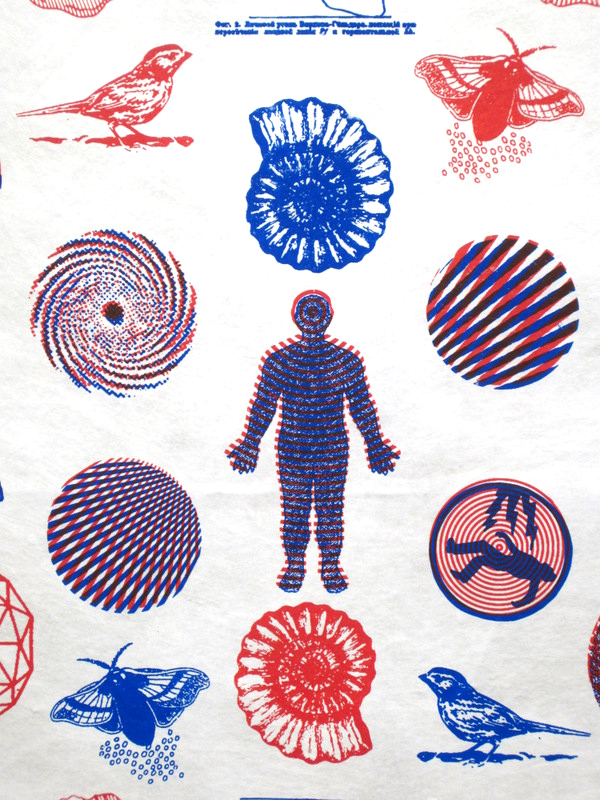 Instead of printing on paper, these patterns are on Tyvek, which is a synthetic material that behaves much like paper. 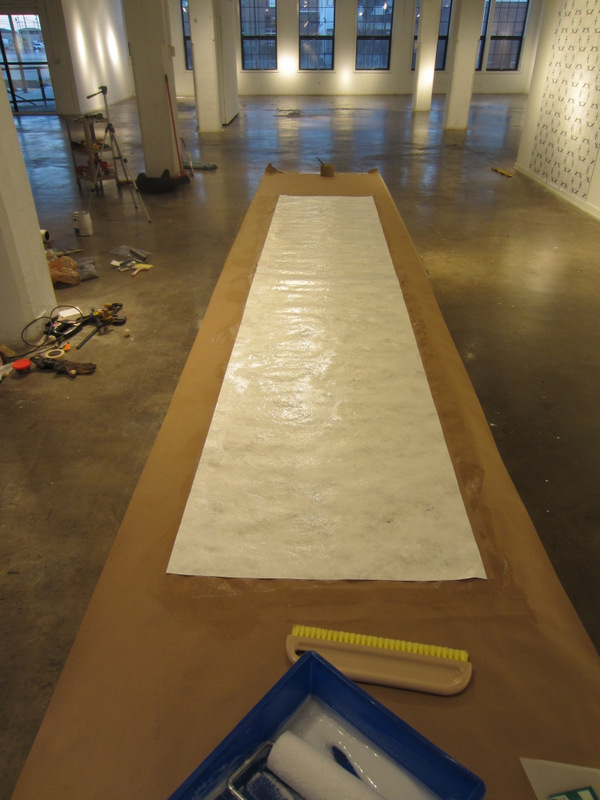 One key difference is that Tyvek doesn’t tear, which makes un-installing wallpaper totally painless. 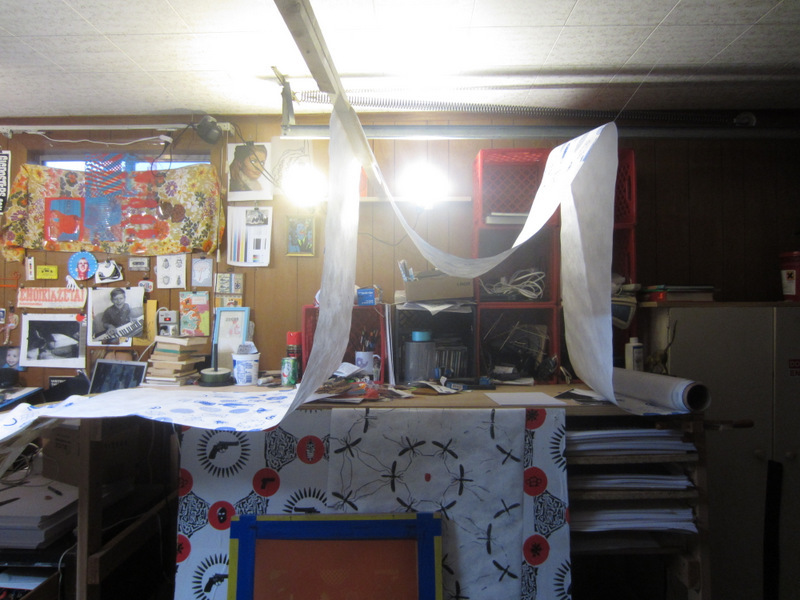 If there’s one thing people hate about wallpaper, it’s tearing off those tiny shreds and shards of paper. 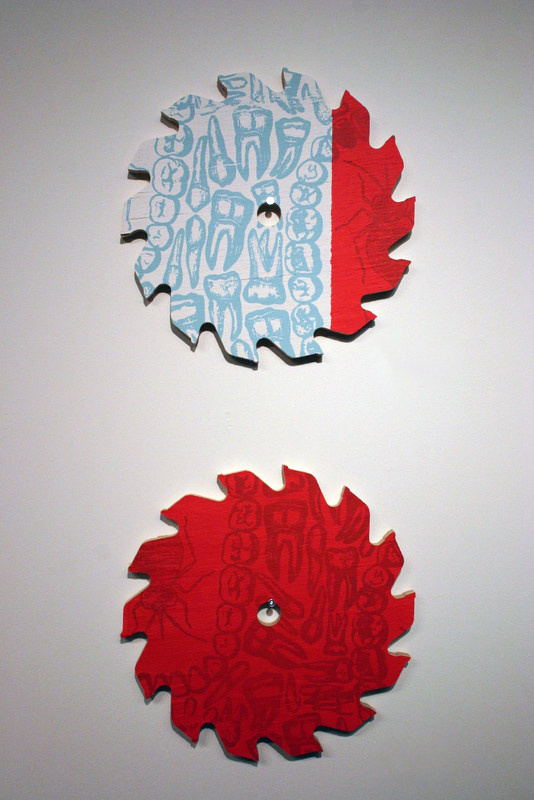 But these come off all as one giant piece, just like it went up. 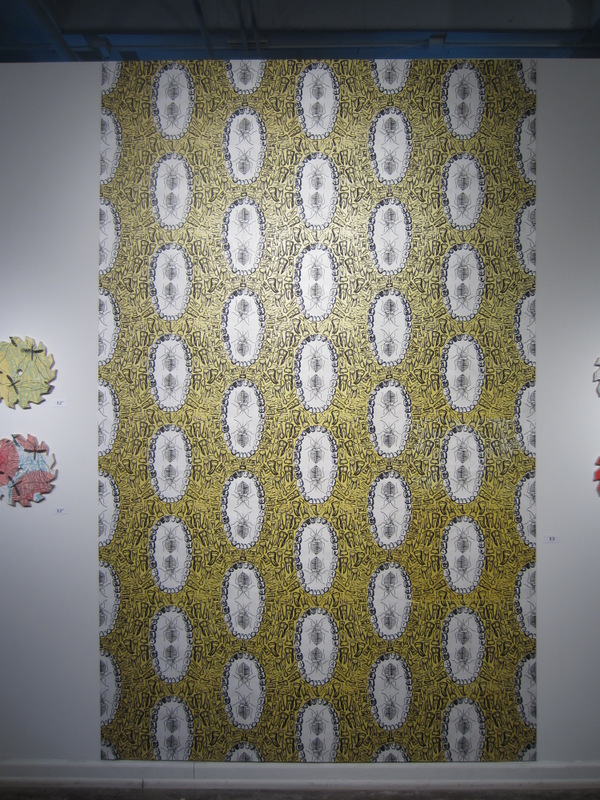 This entry was posted on September 27, 2015 by dennisschmickle.